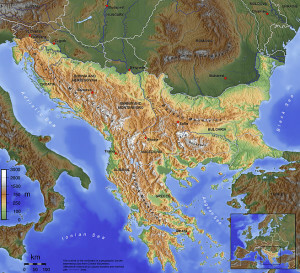 I have always been fascinated by the Balkan region of Southern Europe. Comprised of countries including Greece, Albania, Turkey, Romania, and more, and with people of countless religions and languages, the area is rarely studied in-depth in most high schools, and yet provides a rich cultural and historical case study. This year, with support from a Margot Stern Strom Innovation Grant, I set out to develop a multimedia, project-based learning tool for use in schools that explores the history of the Balkans and how this history helps us to understand European culture and identity today.